Leaks: If you notice the water levels falling time after time then you may be facing a leak. 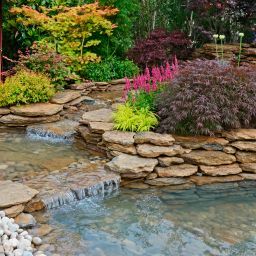 It is not normal to have to refill your pool constantly, as the body of water is meant to stay for one week to two weeks. If a leak goes unresolved, then you can find yourself spending more money on chemicals that end up filtering out soon after you apply them. Cracks on concrete pools: If you start to notice cracks in your pool walls or base than you need to immediately respond. These cracks can be the root cause of any leakage. Cracked walls result in damaged soil surrounding the structure. Insufficient sealing or sub par cement can be the catalyst of this issue. Unclean water: If you find yourself time and time again treating your pool but soon after, the water remains dirty, then the pipework may be to blame. Debris or other build ups may be blocking the water flow through pool filters. 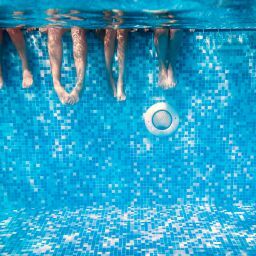 Malfunctioning pump: Another cause for a consistently dirty pool, is a malfunctioning pump. A professional can either replace the pump entirely or individual parts such as a the motor shaft, O-ring seal, or impeller. Broken lights: The combination of electricity and water can be extremely dangerous and requires a professional to attend to. So if you find yourself swimming in a dark pool, it’s time for a solution. Be cautious of these warning signs for when to seek immediate assistance from an Atlanta pool company. Contact Atlanta Outdoor if you experience any of these issues!